Blockchain in Switzerland: It seems that blockchain technology is expected to infiltrate Switzerland’s economy even more-so. Already, the Alpine nation has been known as quite the hot-spot for all things cryptocurrency. But this time it seems that the technology behind blockchain specifically, allows for a real push in technological advancement for the nation. A transcript from the event was published by the Federal Department of Economic Affairs, Education and Research today, June 21. Schneider-Ammann is one of seven of the countries collective heads of state. It seems the reason for his surety lies in the technological advancement blockchain would mean for the country. Though much is still to be discovered about the technology, its educational benefits will be a “decisive factor” for its implementation. What’s So Hot About Switzerland? Switzerland is already known as quite the hot-spot for business and in more recent years; crypto-related business. It has also been somewhat ahead of the crypto-game: Zurich (the nation’s Capital) set up its first Bitcoin ATM four years ago (before 2017’s massive popularity surge), its national rail company has since 2016 allowed the purchase of virtual currency at over 1,000 distributors across Switzerland and according to financial watchdog Finma, in 2017 six of the world’s biggest ICO’s ever took place. Four of those were in Switzerland. Zug is a small city outside of Zurich, which has a very business-friendly taxation scheme and as a result houses tens-of-thousands of companies inclusive of the famous “CryptoValley”. It is currently home to over 200 blockchain companies including Ethereum’s foundation. Zug has also since 2016 accepted Bitcoin payments for council services and its first blockchain-based municipal vote is expected to happen very soon (June 25-July 1 more specifically). 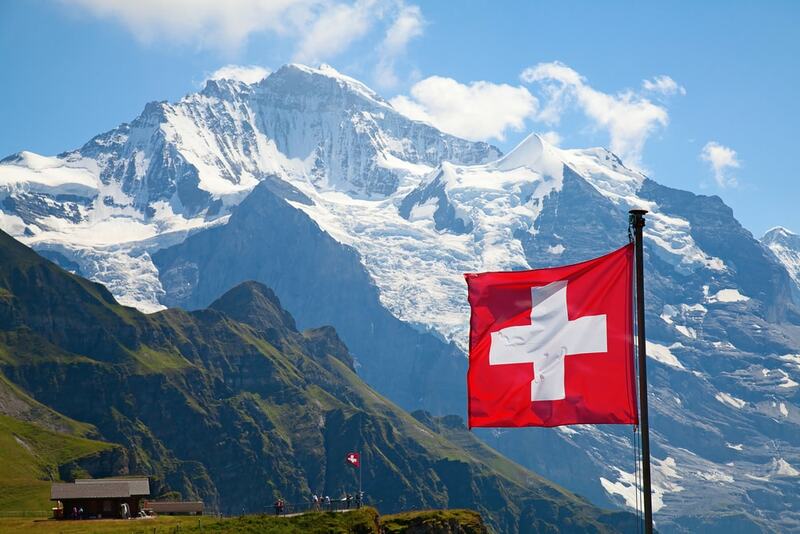 So it’s clear that Switzerland has been highly supportive of the cryptocurrency sphere and the technology that underpins it – blockchain. Who’s to know what the future will bring for blockchain in Switzerland. It seems the country and the technology will be moving in the right direction.